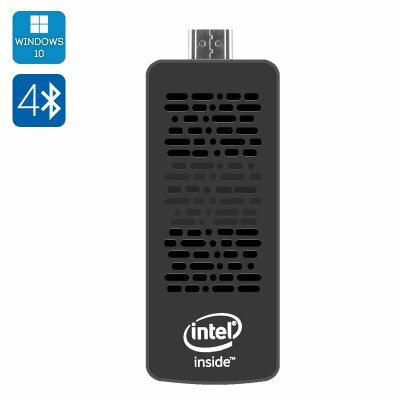 Successfully Added MeeGoPad T05 Windows Mini PC Dongle - Licensed Windows 10, Quad Core Z3735 CPU, Intel HD Graphics, Wi-Fi, Bluetooth 4.0 to your Shopping Cart. Making your TV smart has never been easier. Simply plug in this compact dongle and enjoy all the benefits of Windows 10 interface. Use it for a better home entertainment system or to always have a computer on the go. MeeGoPad is a know manufacturer of TV boxes and dongles. The MeeGoPad T05 comes with a Windows 10 operating system and lets you get the best of media and working functionality. 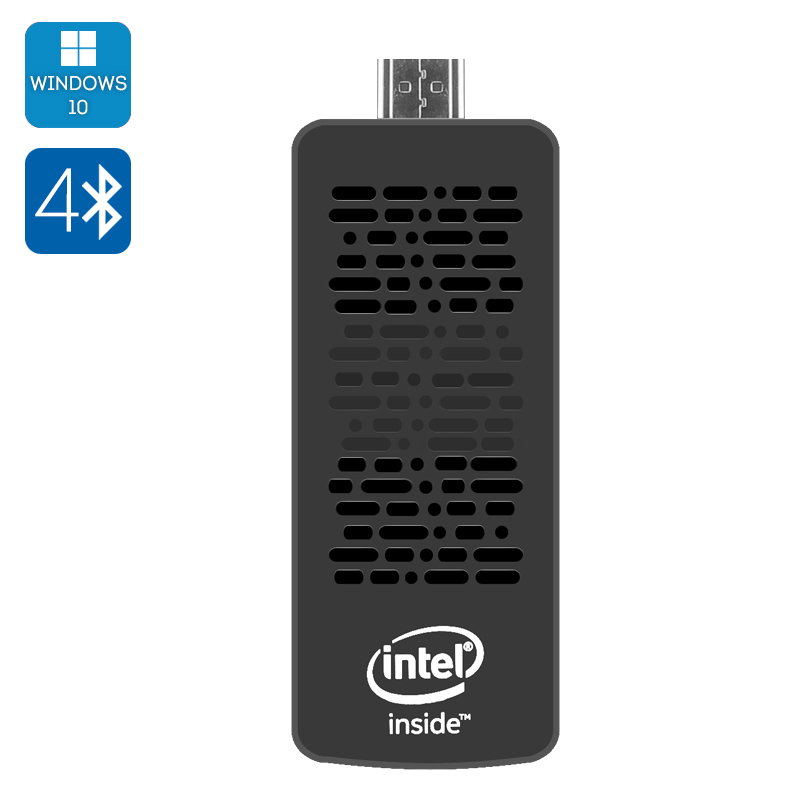 For entertainment, simply connect the Windows mini PC dongle to your TV and enjoy a great intuitive interface on the large screen. For work, let any HDMI screen be your personal computer. Work with documents, applications, tools and more - and always have a compact PC ready when you need it. The MeeGoPad T05 Windows mini PC lets you easily connect to other devices – as well as get content from the web. Thanks to the support of Bluetooth 4.0 and Wi-Fi, you will have all the needed content at your fingertips. With 32GB of internal memory + 64GB externally, you will also have plenty of space to store that content right on the mini pocket PC. This PC dongle is powered by an Intel Atom Z3735F Quad Core CPU and with 2GB ot RAM will guarantee smooth operation and seamless problem-free multitasking. The MeeGoPad T05 Windows mini PC comes with a sleek compact design – you can easily carry it in your pocket wherever you go – like a USB flash drive. Despite the small size, however, this mini-device will offer you great on-the-go functionality and open up a whole new world of entertainment options. The MeeGoPad T05 PC Dongle comes with a 12 months warranty. Brought to you by the leader in electronic devices as well as wholesale Windows PC dongles..